I have been using Topgun.com for over 10 years for various items and accessories...the best prices on quality gun products. Awesome product. It’s the Sig Sauer brand so you don’t have to worry about anything wonky going on like you get from aftermarket parts sometimes. Plus it’s $15 cheaper than on the Sig website so I had to grab it! Product shipped fast and arrived faster than expected! On the range side of things, I’ve put around 300 rounds through it since purchase and have had no issues with the spring or feeding problems. Great quality. 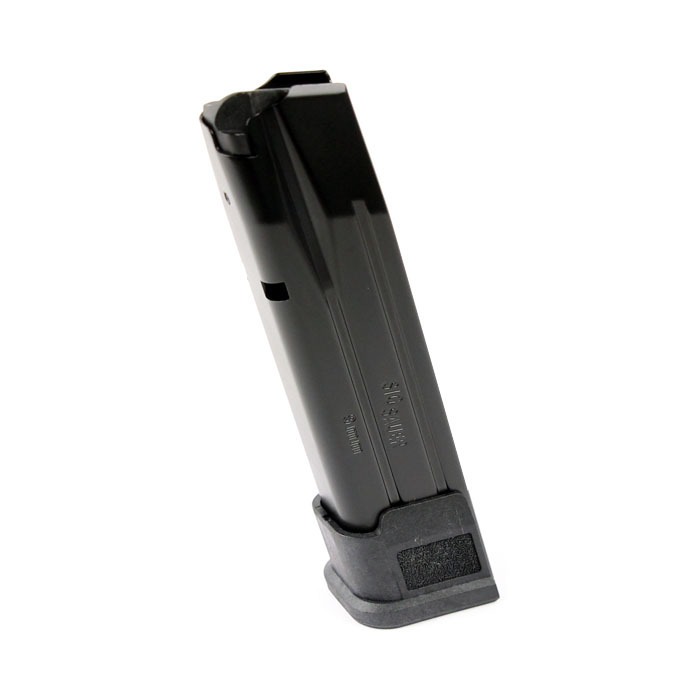 I purchased these Sig 21 round mags for my Sig X Carry excellent fit and finish. Not just was Top Gun Supply the only supplier of these mags in their stock but their price where the best on the net and where shipped out the same day I placed the order. They will be my goto mag supplier from now on. Always a pleasure doing business with Topgun!! !